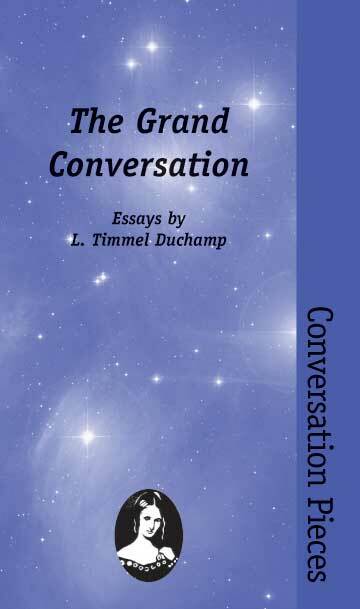 The Grand Conversation, the first volume of the Conversation Pieces series, collects four essays by L. Timmel Duchamp that explore her conceptualization of feminist sf as a conversation. These essays, which have been previously published in the scholarly journals Foundation and Extrapolation, lay out the thinking behind the Conversation Pieces series. "Excellent subtle, sophisticated, and thought-provoking essays on feminism and sf."